For best results, use recipes developed for using honey. Substitute honey for up to one-half the sugar. 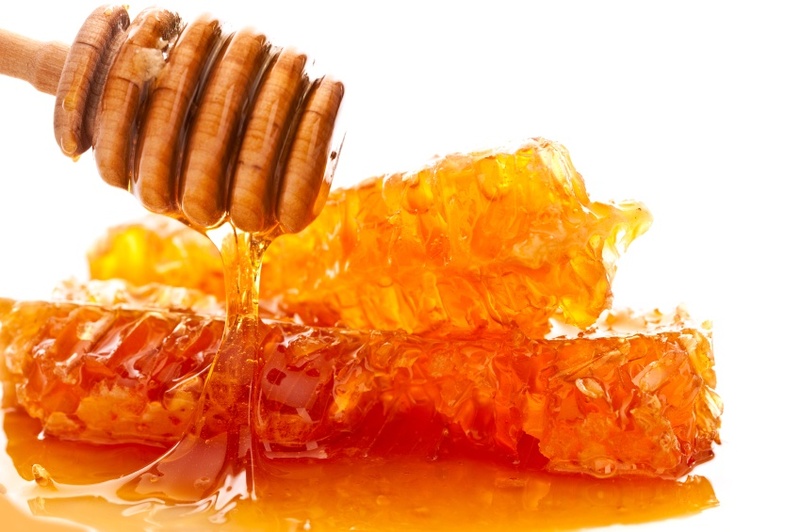 With experimentation, honey can be substituted for all the sugar in some recipes. In baked goods, reduce the amount of liquid in the recipe by 1/4 cup for each cup of honey used; add 1/2 teaspoon baking soda for each cup of honey used; and reduce the oven temperature by 25°F to prevent over browning. For easy removal, spray measuring cup with non-stick cooking spray before adding honey. Twelve ounces (weight) of honey equal one cup standard measure. Honey has a higher sweetening power than sugar. Store honey at room temperature. Refrigeration speeds up crystallization. If honey has crystallized, remove lid and place jar in warm water until crystals dissolve. Or, microwave 1 cup of honey in microwave-safe container at HIGH (100%) 2 to 3 minutes or until crystals dissolve; stir every 30 seconds. Do not boil or scorch.